Fractures of the hip often occur within the femoral neck, a thin section of the thigh bone that helps to connect the “ball” end of the bone to the main shaft. When a fracture occurs in this area of the bone, it can cut off blood supply and lead to severe joint damage that cannot be treated with conservative methods. What is a bipolar hemiarthroplasty? Treatment for femoral neck fractures can be successfully achieved through a bipolar hemiarthroplasty. Hemiarthroplasty is a surgical procedure that replaces one half of the hip joint with a prosthetic, while leaving the other half intact. There are several different options available for the type of device to be used; we prefer to use a bipolar type, which has a femoral head that swivels during movement. This helps to reduce the amount of wear and tear on the new joint for longer lasting results. What should I expect during my hip surgery? During the hemiarthroplasty procedure, the damaged femoral head and neck are removed and replaced with the bipolar prosthetic. The prosthetic may be held in place with or without cement. 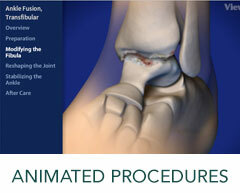 Patients will need to undergo physical therapy after surgery to help restore movement and function to the joint. Therapy begins as soon as the patient feels comfortable after surgery, which is often the very next day. Most patients experience effective, long-term results from this procedure. To learn more about our Hip Bipolar Hemiarthroplasty Services, please contact us today to schedule an appointment!